Do you know who the Sahabah were? How much do you know of their lives? The Sahabah were the blessed men who lived in the time of Nabi Sallallahu Alaihi Wasallam. Their lives are filled with many beautiful stories and lessons. 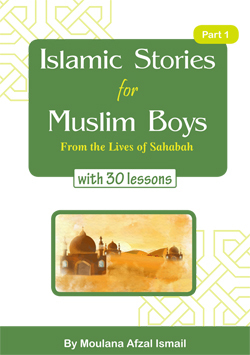 Read the stories in this book and practise upon the lessons they teach you. You will become a better Muslim. The example of the Sahabah is the best of examples. Make these blessed people your role models in life and you will never go wrong. And don’t forget to tell all your friends about these stories too. They will love you for teaching them such beautiful stories.